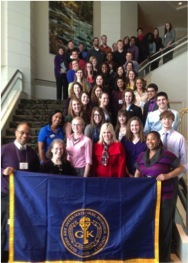 The Region 6 Summit was held in Minneapolis, MN from March 1-3, 2013. On Saturday, March 2 the people of Minneapolis were driving to work, shopping, visiting family and much more. Beyond the hustle and bustle of the city was our Regional 6 Leadership Summit with many students waiting to unlock their potential. 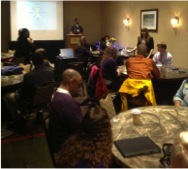 Our Summit was held at the beautiful Hilton hotel. First up was the Opening Session where we were all welcomed. After meeting other chapters, connecting with them and networking during the Opening Session, we all split into the different workshops. 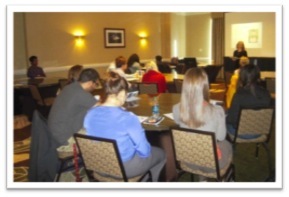 There were two discussions that occurred during each workshop session. For chapters to obtain the most from all that the Summit has to offer, chapters split their members among the discussions for each workshop. “Billhighway Training” or “GK 101” was offered for the first workshop session. Each discussion brought up interesting new ideas while also stressing important concepts. After the first workshop, we were offered discussions on “Stress Management” or “Professional Development” in the second workshop session. The workshops included very upbeat and passionate speakers, which I loved. Groups were also involved in several different exercises! After we were all feeling stress-free or professionally stronger, we were provided a two-hour break to enjoy lunch out in the city of Minneapolis. During the break, many found themselves at the Mall of America, Chevy’s and other varying restaurants. Afterwards we all joined to discuss our chapters’ events. Chapters presented many excellent ideas and it was a great way for chapters to understand what to do and stay connected. We then had a group photo (remember your cameras for this). Then, it was time for the third workshop session. The discussions offered were “The Princeton Review” and “Service Learning—Better World Books.” The Princeton Review covered GRE testing and provided students with a GRE study manual. During the service session, we learned great ways to build character and many interesting concepts concerning Better World Books were also presented. Following the final workshop session, Chapter Presidents attended the President Roundtable while other members were offered a break to view the city and prepare for the closing dinner. I attended the President Roundtable, which was extremely helpful. We all joined together to discuss how we individually run our chapters. With advice from several different chapters, we learned methods in keeping our chapters involved and creating an organization which all students will want to engage in. We left the roundtable with new ideas and concepts resounding in our minds. Following the break, supper finally arrived during our Closing Dinner; it was delicious! Next we heard from Kelly Groehler, the Keynote Speaker. She is the Director of Operations – Communications and Public Affairs at Best Buy. After our wonderful, inspirational keynote speaker, we exchanged t-shirts to help broaden our networks and stay connected with other chapters. 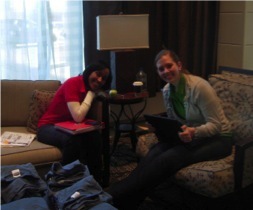 Throughout the three-day weekend, each chapter had one-on-one meetings with our Associate Director Kiandra Jones. 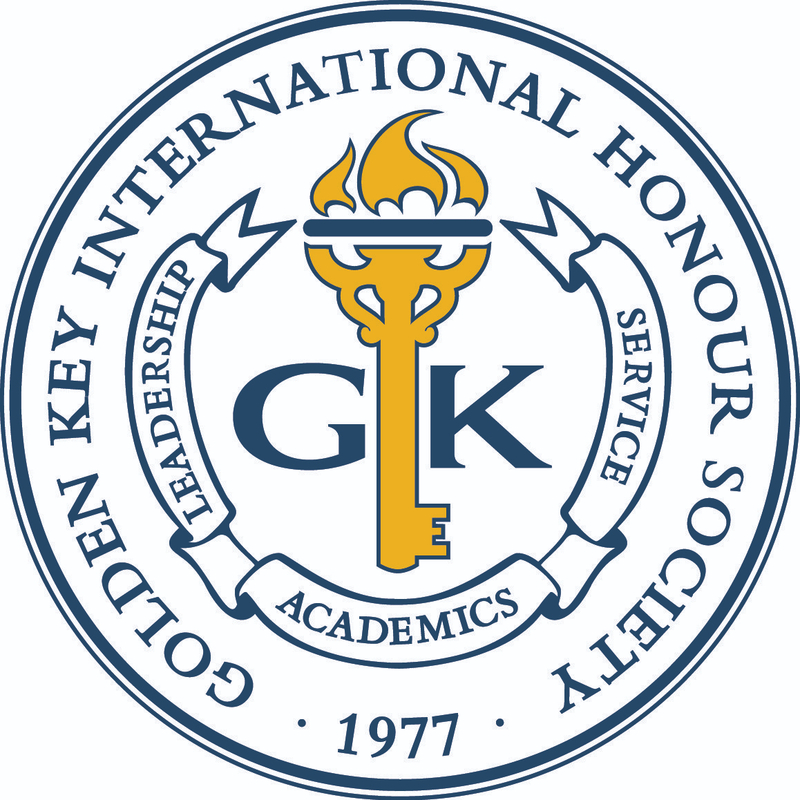 Meeting with our most reliable associate for anything GK related is a great way to improve connection and understanding of Golden Key. We discussed our goals for our chapter and what we needed to work on. We discussed how we were planning to better our chapter and what events we were planning. Meeting Kiandra helps bring the potential of chapters to reality. I had a wonderful time at Summit! Overall, this event is very important to create relationships and relight the spark for each chapter leader so we can continue to host amazing events!